GMK gun cleaning mat made with a cordura type outer and imitation sheepskin lining. 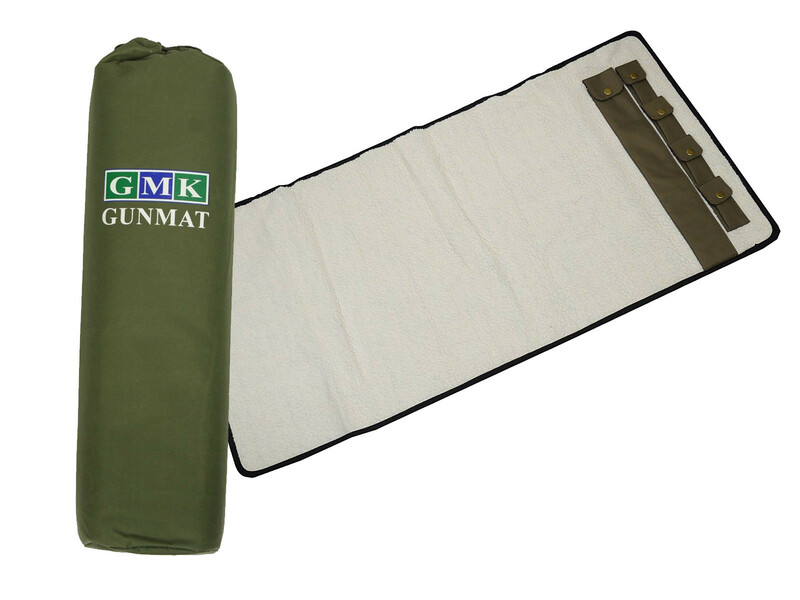 GMK gun mat made with a cordura type outer and imitation sheepskin lining, sized approx 106cm x 52cm. Features 5 press stud fastened pockets to hold cleaning rods and brushes. Keeps the area clean when cleaning a gun and prevents damage and marking to the gun.